When it comes to the large SUV that you can drive and enjoy with the GMC name on the front, the Yukon has been the vehicle that you’ve turned to for many years. For the 2019 model year, the GMC Yukon and the extended-length Yukon XL are offered with more of the size and features that we want for the drive on the road. This big brute of an SUV allows you to have the ability to pull a trailer or boat to the destination you’re heading to when you’re ready to have a great weekend out in the wilderness for some fun. If you want a full-size, three-row SUV with a massive V8 engine under the hood, the Yukon is the right choice for you. This big brute brings in power, size, and capability to give you the drive you want on the road and out on the trails. This SUV also makes for a fantastic family vehicle that you can enjoy when you’re looking for the right way to get your kids where they need to go and bring their gear with you all in one vehicle. This big SUV is now offered with an aggressive Graphite Edition for the mid-grade SLT trim that brings you 22-inch wheels, blacked-out items, and a unique suspension. This SUV takes things even farther for 2019 with the Graphite Performance Edition which brings in a more powerful 6.2-liter V8, a ten-speed automatic transmission, and magnetic ride control. Previously, these items would have been reserved for the Denali trim only, but now you can enjoy them in the Graphite model and experience the quality and the power offered of the upgraded ride and powertrain of the Yukon. A large SUV can be right for the drive, but it also means everything is bigger. The blind spot is bigger, the turns take longer, and it takes longer to stop. 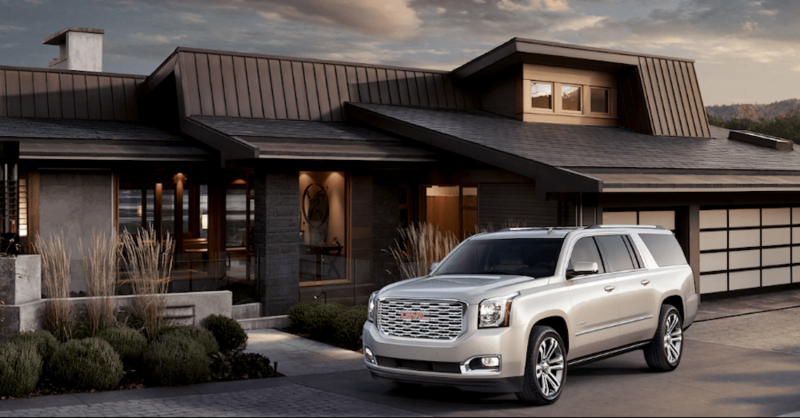 The GMC Yukon is equipped with a host of active safety features to help you when you drive this big brute on the road. These features include forward collision warnings, automatic braking, lane departure warnings, and lane keep assist. These features are standard on the SLT trim and are offered as an option in the base SLE model that you could choose for the drive. Whether you have a large trailer or boat to tow, or you want to head out for some adventures in the wilderness, or you just need a large and comfortable SUV for your family, the 2019 GMC Yukon has to be the right choice for you. This big SUV is offered in two lengths to give you more of what you’re looking for. Stop in and see the team at your nearby GMC dealership and let this big SUV become the one that you take out on the road and enjoy during a daily drive. You’ll be glad you chose the Yukon when you need the incredible size and capability this SUV has to offer.